I will be anxious to see how the artichokes do. I've planted them for the first time in GA, and am also playing the "wait and see" game. I also started for the first time trying to grow artichokes in Zone 6B9 (Staten Island, NY). I'm starting with seeds purchased oneline. The are Emerald & Green Global Artichokes. I started out with 20 seedlings, half Ermald & half Green Globals. Started in mid February 2011. The are now 50 days old. I have them in 5 inch organic containers. The problem I'm having, is that the bottom leaves are dying off. I tried adding 10-10-10 fertilizer. This did not help! Any suggestions out there? make sure they are well watered and take care not to have the fertilizer come in contact with the leaves as it can burn them. I managed to burn a few leaves doing just that. 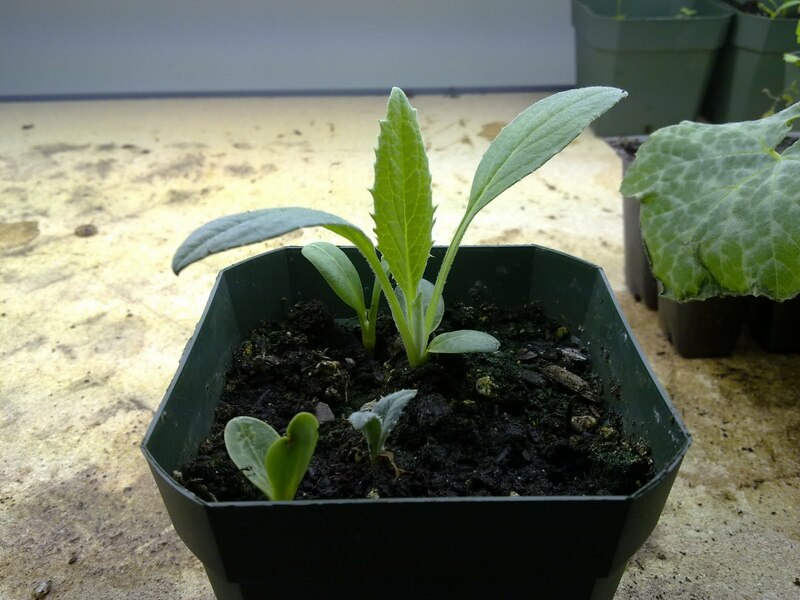 Hi Timoti: Today, April 13th, I got the balls to transplanted all 30 of my artichoke plants. Too my surprise, they are all still standing 5 hours late. I will take pictures tomorrow and show you the results - success or failure. I hope the late frost or snow cycles are over. Hi Timoti: Good News & Bad News! As of today, may 23rd, twenty three of my chokes have perished. Only Seven are left. I discovered that they were being attacked by very small insects. The leafs were riddle with holes. This all happened over a seven day period. What I did to reconcile the problem was to purchased two repellents: 1) Slug repellent & 2) Insecticidal Soap Relellent. SOooooo far, this is working on the remaining seven plants.